No need to fix this book up!!!! 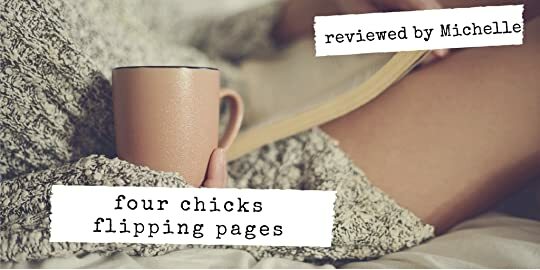 Carey Heywood nailed it when she delivers one sweet, light, and heartwarming love story that was bursting with all the feels!!! I practically inhaled Fix Her Up in one sitting. How could I not when Heywood brings forth a story that reminded us all that life is truly a journey and when one chapter ends, another begins. And for Finley Reeves, her new life begins knocking one wall at a time. Finley Reeves needs a fresh new start. Clarification, she wants a new start and what better way than moving across the country and begin her new life in New Hampshire. When her husband decided to leave her for a younger woman, she knew that she couldn’t stay in her small town in Texas and have people gossip about her. So Finley decided to buy a house she saw online that is in much need of lots of love and repair. 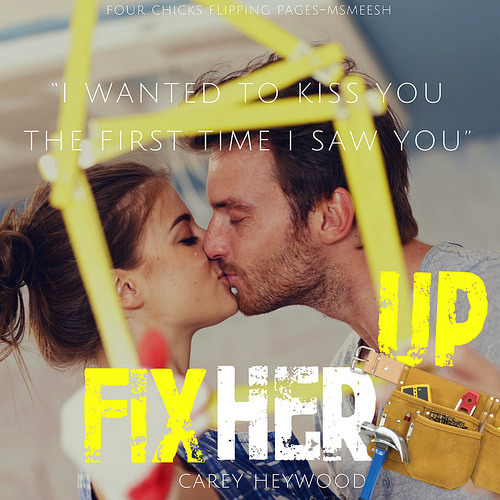 If Finely could fixed this house up, then she sure as hell can fix her life up too.Well as it turns out, this fixer upper was more than she could handle. And so when her real estate agent’s older brother shows up at her house willing to help, how could she turned down the help? Noah Thompson is Finley’s knight in shining armor with a toolbelt. Literally, he decided to help Finley with her home improvements for free. And why is that? Well, it’s because right away from the moment she sneezed on him, he liked her. She was sweet, friendly, and independent. And also, he was very much attracted to her and her desire to fix an old house that no one would have bought. As they spend more time with each other, Noah knew he had to make his move and let her know that this thing between them is something more. More than best friends. She was it for him. While he may be knocking down walls in her house, he too was knocking down the walls of her heart to love and trust again. And most importantly, she didn't need to be fixed. She just needed to be shown what real love looks and feels like. Fix Her Up didn’t need much fixing when it came to bringing a heartfelt family themed love story. I loved getting to know the Thompson’s siblings and what awaits for each of them. With Noah finding love, it leaves three siblings in need of fixing. So if you are looking for a series that will hammer all the feels then I highly recommend you to read this book and what looks to be a fun series.